I spend most of my work days making sure the kids eat nutritious snacks and meals. But sometimes kids just need a sweet treat to nibble on. 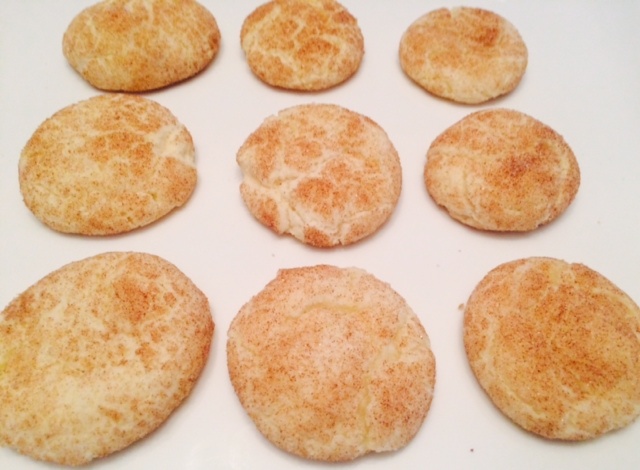 Snickerdoodles are a perfectly simple, light, and crunchy cookie. Kids love baking snickerdoodles so let them gather the ingredients, mix the dough, and roll the dough in the cinnamon and sugar mixture. The cinnamon-sugar coating on these snickerdoodles is amazing! 4. Bake 8 to 10 minutes, or until set but not too hard. Remove immediately from baking sheets and let cool on wire rack.